Hulu and Splashcast are now making it even easier to watch TV online. With their new “social TV player” people can watch full episodes, clips and interviews straight from their profile page. Just download the player and content is automatically syndicated in real time. And it’s free. How I feel when someone jiggles the handle on the bathroom. Knock people. Who really watches video online? Not who most people expect. Most people think the younger audience, 12-24 year olds, watches the most video online. That actually isn’t true. 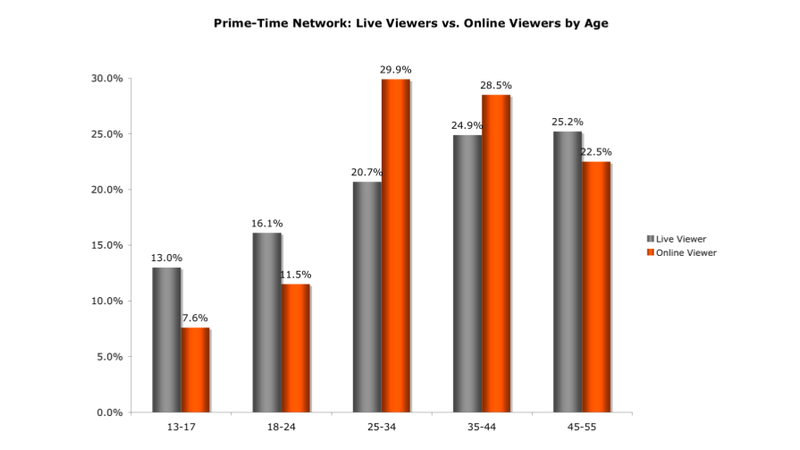 The two largest segments, 25-34 and 35-44, make up 58.4% of online viewers. Specifically it’s affluent, educated, 25-44 year old females who are busy with their work and personal lives and don’t have time to be tied down to live TV.